Nice pics. 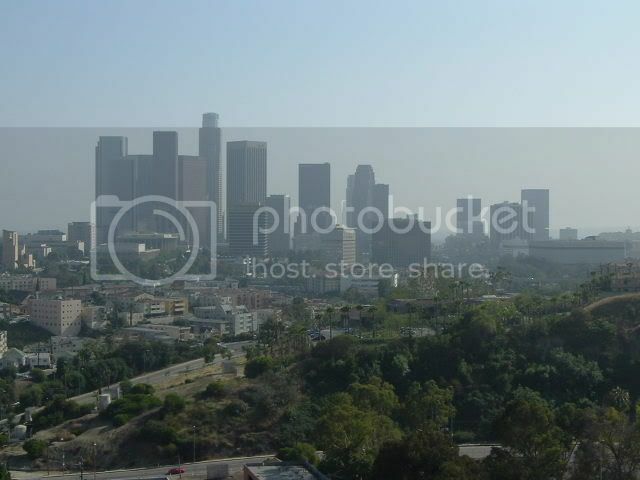 I've always liked the LA skyline, although we don't see much of LA on thid forum. Thanks for posting these! For its size, Los Angeles could do much more with its never-changing skyline. 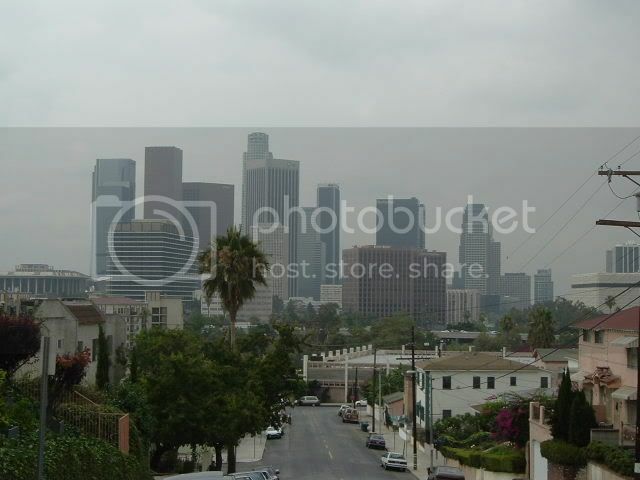 Los Angeles is prone to earthquakes, so that's probably why its skyline isn't as big as New York's or Chicago's. Also, based on my observations, Western cities tend to have skylines that are smaller and not as prominent as Eastern cities of comparable size. the air looks dirty -- at least in the first two shots. I know that LA has a problem with smog -- but are there ever nice clear beautiful days - and I mean from a shot like the ones posted - view of the skyline? LA is working on the skyline thing. Part of the problem is that until 1958, there was a height limit of 150 feet in the city. The other part of the problem is that the office market it weak, so there is no demand for new towers. Once the market picks up, more will rise. A lot of old industrial and commercial buildings are being converted into lofts, so we will probably see new residential towers within a couple of years. It is also important to realize that as the country's second largest metro, the city has multiple skylines. This is just the main one. It is important to remember that LA has a lot of naturally occuring haze in the air. There are written accounts that go back to the 1700s describing the air as dirty, because of the haze. The haze exists simply because of the region's geography. However, pollution has caused the haze to turn from fog into smog, particularly on hot days. Clear days to happen, they just aren't as common as some would like to think. I would imagine that the wintertime has the clearest air...as long as it's not raining, that is. 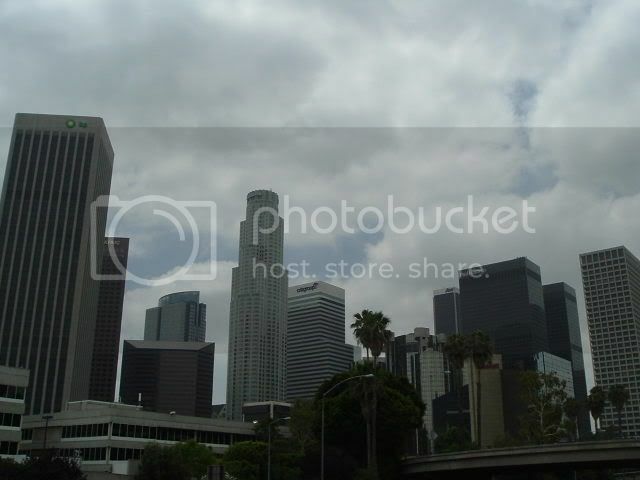 Though LA's skyline is smaller, it is still as prominent as New York. When you see a picture, you know that it is LA. LA really does have a great skyline! Thanks for posting! WOW. I have to say L.A. is impressive. Because right now, I am visiting L.A. and posting this in a Apple Computers store in West Hollywood CA. I have been here only 4 days, and I must say, this is one of my favorite cities. Everything is so beautiful. The malls, the housing, shopping areas. Everything is so awesome. The architecture is fascinating. And most importantly, the city is THRIVING. I love L.A. I don't know how I can leave this city. Fortunately, my sister lives here, so I will be able to come back and visit often. Those pictures are great. I love the sunset ones of the city. I have currently taken over a thousand photos, I hope to show them soon! Wow, have fun processing all those pics!! I'm looking forward to seeing them! I wouldn't consider LA an 'underrated city' -- in fact everytime I talk to someone who lives or has visited LA, they say that it is one of the best cities in the world. In terms of the skyline, I think that the LA skyline is great, but it really cannot compare to the giants like Chicago and NYC -- but I am sure it is gaining fast ground. I think that everyone knocks LA because they don't live there and probably are tired of hearing how great the city is.